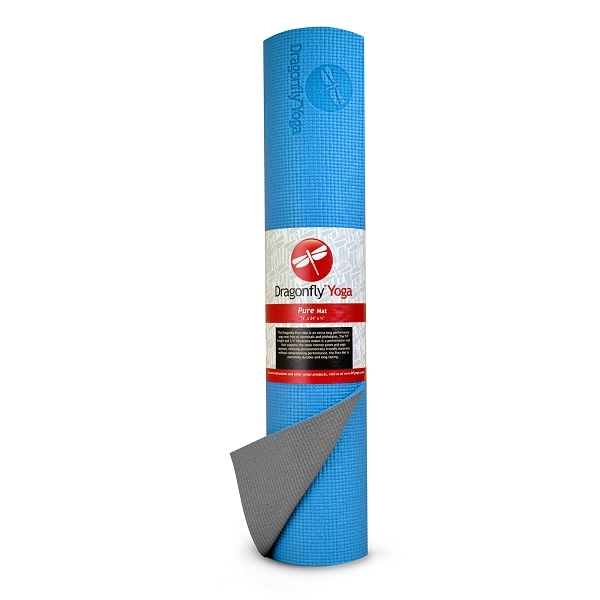 The Dragonfly Pure mat is a performance yoga mat without the addition of chemicals or the six most harmful phthalates. The 74" length and 1/4" thickness makes it a performance mat that supports the most intense poses and yoga routines. Utilizing environmentally friendly materials without compromising performance, the Pure Mat is made with durable and long-lasting open cell foam and features our large beautiful embossed Dragonfly logo on the top left corner. Periodically clean with a wet rag and mild soap or a Dragonfly Mat Wipe for optimal performance. I like that this mat is a bit longer because it's nice to not have to worry about accidentally landing into a standing pose with one foot off the mat. The quality of the mat is thick and supportive, and it has a good level of tack/stickiness. Highly recommended and excellent price!